Chickens and mosquitoes have an interesting relationship with each other. They could theoretically both try to eat each other, so who really is the dangerous one in the chicken coop? What about those chickens in need of some extra protein, will a chicken eat a mosquito? And what about other insects, do chickens eat ticks and fleas as well, for example? These are all questions people might ask themselves when they start (or maintain) their own chicken coops. One thing is for sure, mosquitoes (and other insects) do seem to like chickens a lot, since there are products on Amazon such as this poultry protector spray. And it’s being sold a lot, so there must be something within the relationship between chickens and mosquitoes that is interesting. It’s pretty logical to think your feathery friends will try to protect themselves as well: I mean, there’s a lot of pecking around going on usually, right? So let’s see if mosquitoes looking for blood play a dangerous game inside the average coop. Do Chickens Like To Eat Mosquitoes? Chickens will eat a variety of insects, including mosquitoes. While chickens do eat mosquitoes, they are not a primary source of nutrition. 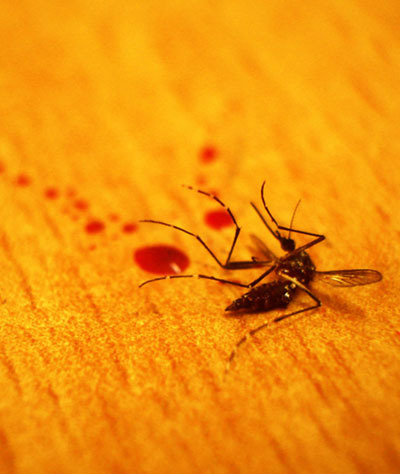 Pecking at mosquitoes is more likely to be a means of defending against mosquito bites. Chickens also like to eat snails, ticks, fleas and other species often found in the garden. You could certainly make the job a lot easier for them by removing standing water from your outdoor area. Your garden is literally heaven for laying (mosquito) eggs, because usually there are nooks and crannies that have a small puddle of water. This is absolutely perfect for laying insect eggs, something you want to avoid at all costs. Also, let your neighbor help out, otherwise the pests won’t go away. One of the more remarkable aspects of the relationship between a chicken and a mosquito, is the possible repellent effect chickens could have against the diseases carried by some of the insect species. It’s worth diving into for a bit, so you’ll understand the unique importance of having some of these feathery friends around. The scent of chickens can help repel certain species of mosquitoes. To avoid mosquito-related diseases (such as malaria), one study found the natural scent of a chicken to be an effective mosquito repellent. However, the effect is only confirmed to work on certain mosquito species, particularly Anopheles arabiensis. This particular species of mosquito is heavily reliant on their sense of smell to find their targets, making it likely for the scent to play a large role in the repellent effects. It must be noted that the effects were found in quite a unique study setup. For the study, researchers had placed chickens inside the bedroom of random inhabitants willing to participate. This with the simple goal of determining if chickens could protect them against getting bitten. It worked, resulting in a whopping 80% reduction in mosquito stings. This provided a possible a huge blow to malaria (the study was conducted in Ethiopia, a region where malaria is still very persistent). Now, for us Western countries, it can be nice to know our chickens are safe, but most likely you don’t want one living in your bedroom during summer months. Can Chickens Eat Mosquito Larvae? 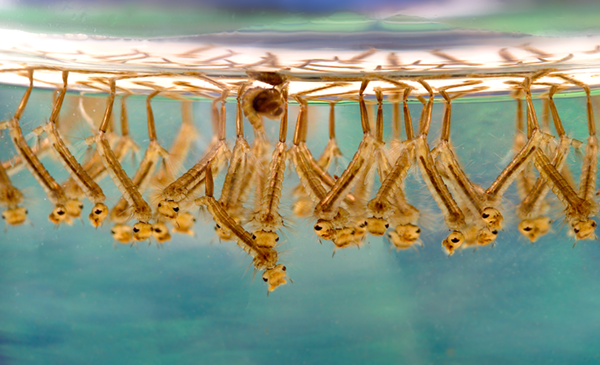 Mosquito larvae, also known as wrigglers or tumblers, exclusively live inside water. Larvae are often found in puddles or standing water. Chickens do sometimes have access to these types of habitats, even when living in enclosed chicken coops. If given the opportunity, chickens will eat mosquito larvae, which are rich in protein. Obviously, the infant mosquitoes are not the main nutrition for the chickens. Larvae are only available in certain time periods (particularly warmer months), usually when there is a timeframe without prolonged drought. Chickens are omnivores, so a larva might just be an afternoon snack instead of a targeted prey for them. Mosquito larvae are usually found in water puddles. Now one thing is abundantly clear when taking into account these insect babies: They need fresh, non-flowing water to be able to survive. Without it, mosquitoes will not develop into adulthood and the offspring will likely die. A chicken will only provide a minor addition, as they will only kill a small number of mosquito larvae. When a larva does develop itself into adulthood, which is quite likely considering the staggering numbers of these critters, it can become dangerous to your poultry. Mosquitoes are known to bite chickens, albeit less than they try to sting humans. Let’s zoom in on the dangers of mosquitoes towards chickens: Can they harm of kill them? 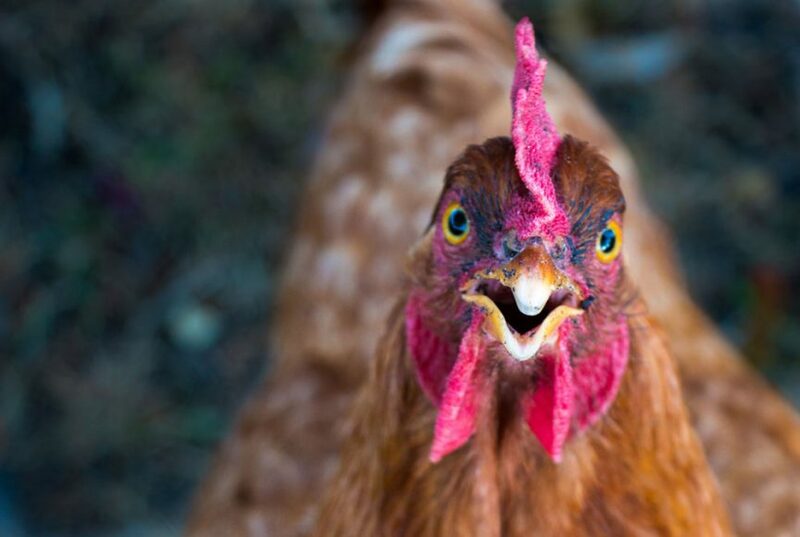 While chickens are known to repel some mosquito species, this does not mean that mosquitoes can’t bite or harm chickens at all. Mosquitoes will bite chickens regardless of their repellent scent, as not all mosquito species will rely solely on scent for finding their target. Bites will usually not harm chickens in small quantities. To avoid chickens from getting stung, you can use similar anti-mosquito products that are used for humans (here is a selection I’ve tested to be very effective). And at the start of this article, I’ve also mentioned the existence of poultry protector spray, an effective organic repellent especially designed for our feathery friends. Now, one can assume that the feathers of chickens protect them well enough from mosquitoes, or perhaps their dust baths are enough for them to stay free from getting stung? Not exactly, because mosquito bites work in a way that is known as ‘probing‘. That’s a difficult term for wiggling their snout into your skin, even moving through other objects. You can read more about probing in this blog post I’ve written. Chickens will not only eat mosquitoes or other flying insects, but they will also happily eat ticks. Chickens are bug eaters, so they are an effective natural way to reduce the tick population. Ticks aren’t particularly fast movers, so all a chicken really needs to do, is to forage and pick them up from the ground. Despite the chicken’s appetite for ticks, it is also abundantly clear that they will not be sufficient in removing a tick population completely. Their pecking might reduce the overall tick population somewhat, making them less of a nuisance in your yard. However, ticks can also simply jump back into your garden from your neighbor’s soil. Speaking of the appetite of your feathery dinosaur-descendant friends, there is a whole range of other insects that they also enjoy gobbling up. Let’s focus on one last group of insects before wrapping this story up: Chickens versus fleas. Chickens are omnivores that will eat any insect that can fit into their beaks. This includes mosquitoes, ticks but also fleas. All of these insect pests are great nutrition to chickens, who will happily eat them for you when foraging around your yard. Chickens help controlling fleas organically (without chemicals). Pour the solution into a squirt bottle, spray the flea. Let’s summarize this whole thing with one final verdict: Chickens are freaking badasses. They eat all sorts of nasty bug pests, from mosquitoes all the way to ticks and fleas. And those are just the more common insects. There’s a whole range of flying, jumping and crawling beings that those little dinosaur birds like to shove into their faces. I mean, just look at them, they are both adorable and scary, tenacious and productive. If you don’t have chickens yet, get some! You’ll no longer need to fetch eggs from the supermarket, nor do you need to use your alarm clock. The hen will wake you up when the sun comes up every morning, scoop up some insects for bonus breakfast, and proceed to chill out with his hens. Okay, I admit, these birds might not be the most effective mosquito repellent out there, but they are all-around winners in my book. And for those few mosquitoes that do somehow come indoors (or those that invade your garden area) we always have these effective anti-mosquito solutions. That link (to the left) will bring you to my favorite mosquito repellents and bite treatments, tested and approved by me personally. They work on those moments your coop dwellers are asleep at night. Let’s get those insects and protect ourselves ánd our livestock! Great alternative! I prefer natural solutions too actually.